Welcome to Klatt Temporary Service. 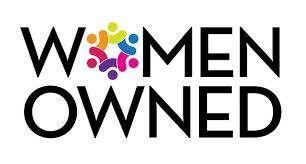 We are a certified Women-Owned Business Enterprise (WBE) conveniently located in the heart of downtown Chicago. Our company was founded in 1975 by Jim Klatt. Judy Davis joined the Klatt team in 1980 and purchased Klatt Employment Services, Inc. in November 2002. Since our inception, Klatt has built a reputation of outstanding client service by providing superior temporary employees throughout Chicagoland. Employees who are reliable, punctual and produce a high quality of work are a must in our organization. We seek the highest standards for those who work here, either on a full time or a temporary basis. That emphasis on quality is the reason we use Klatt Temporary Service for all of our temporary office needs. Working for Klatt Temporary Service has afforded me the opportunity to live a lifestyle of freedom & flexibility. Although there are many temp agencies out there, Klatt suited my needs perfectly. From a musical perspective, Judy is extremely adept at spotting the best talent and retaining them. I have never had a musician referral from Klatt for the orchestra that has been less then perfect. Should you need to hire a trio for your wedding, or a wind and brass section for you orchestra, Klatt has you covered. ©2014 Klatt Employment Services. All Rights Reserved.